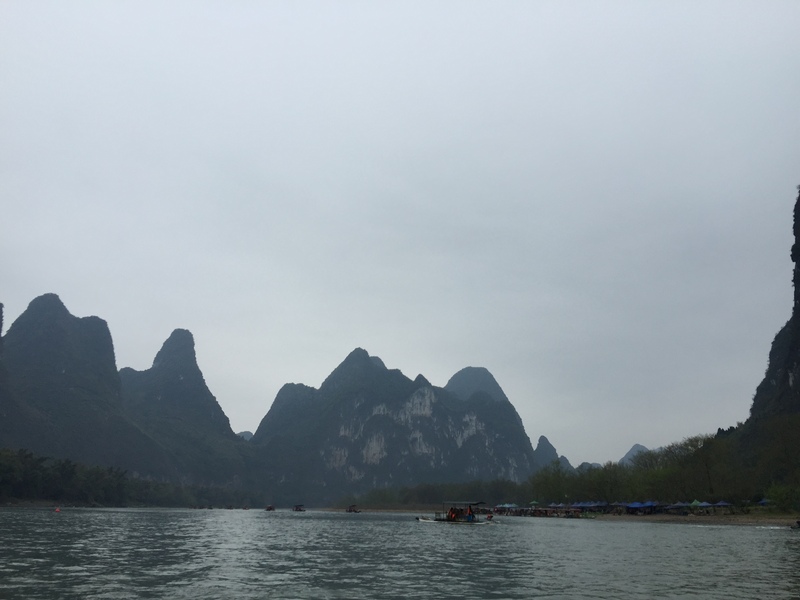 Yangshuo is known for its karst mountains. 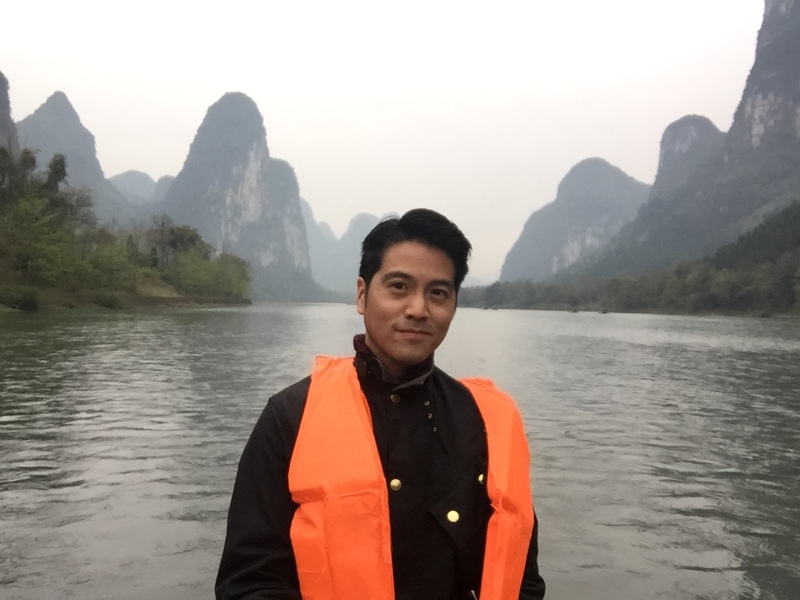 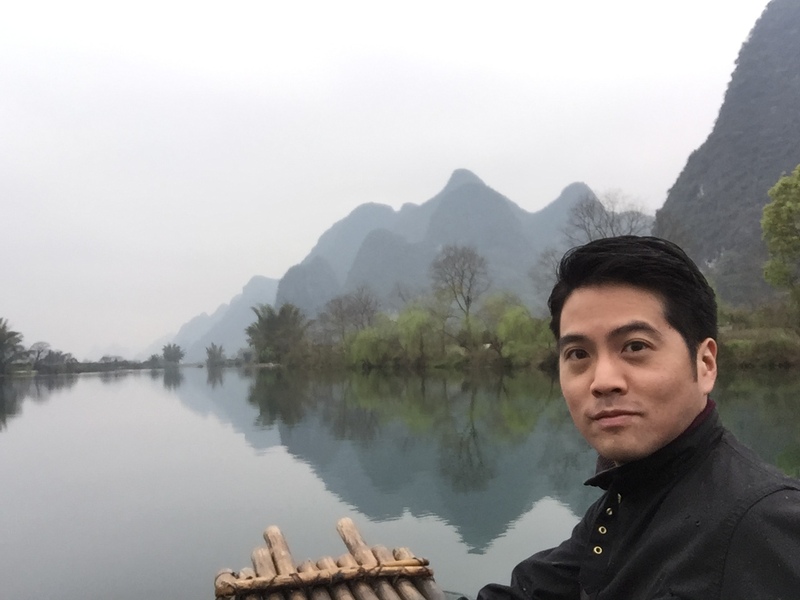 After many trip to cities and global cosmopolitan centers I wanted something totally opposite and I decided to go to the Chinese countryside by myself. 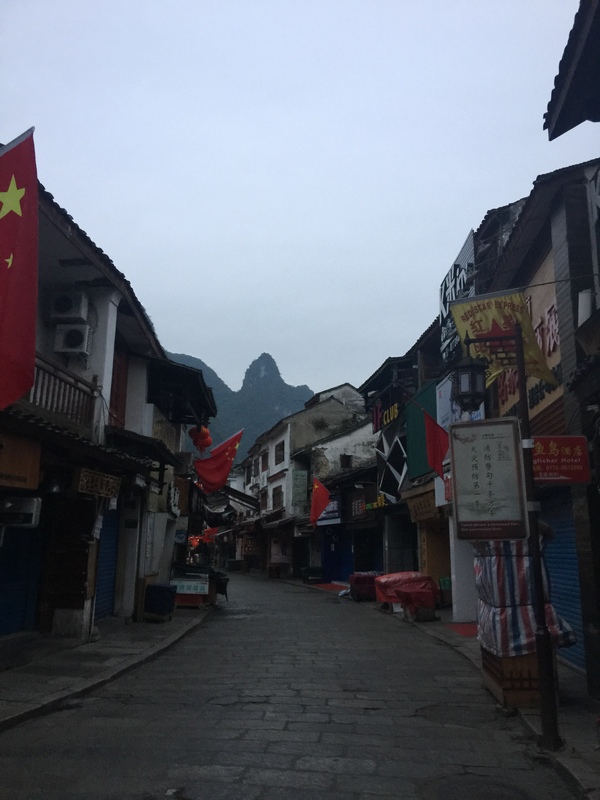 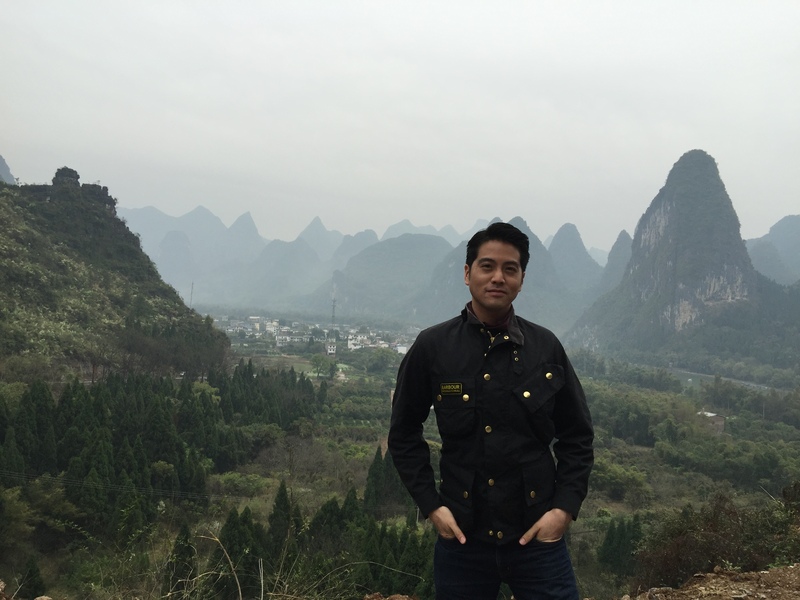 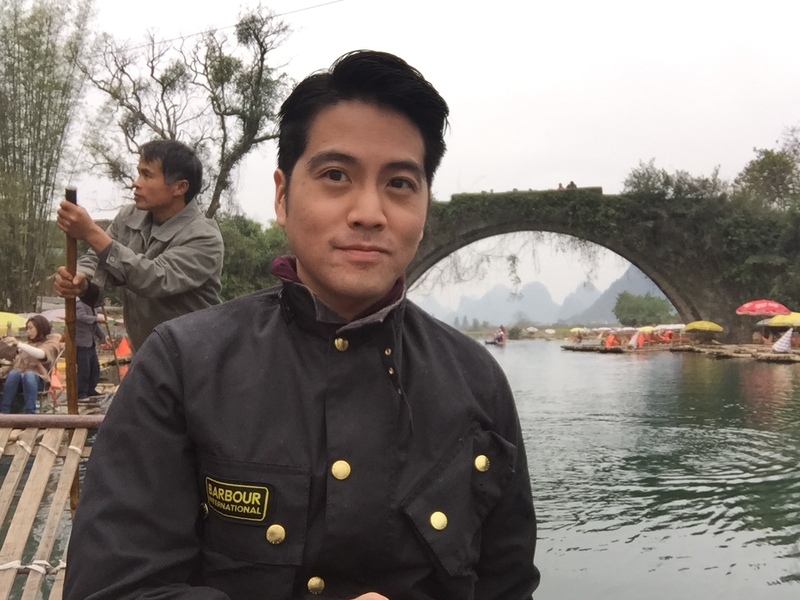 I decided to go to Yangshuo to see the mountains. 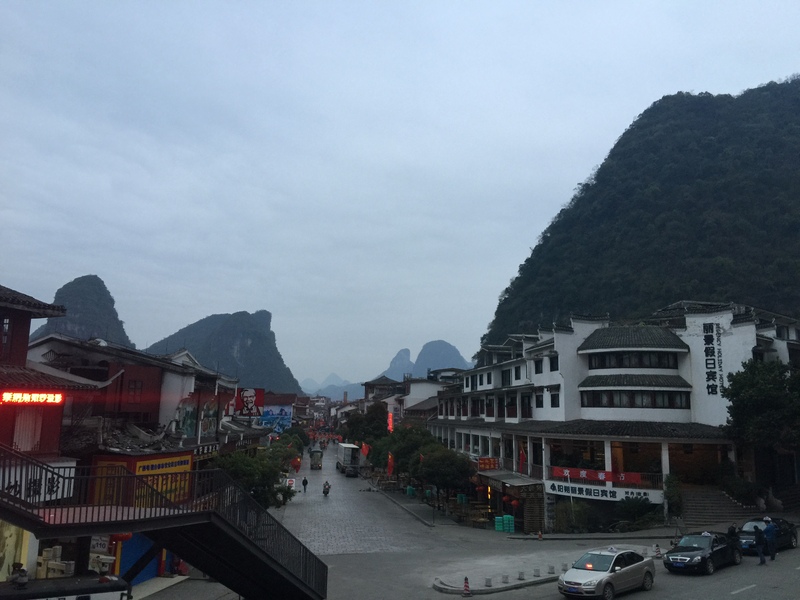 I stayed at the River View Hotel, It was centrally located with rooms with balconies facing the Li River and surrounding mountains. 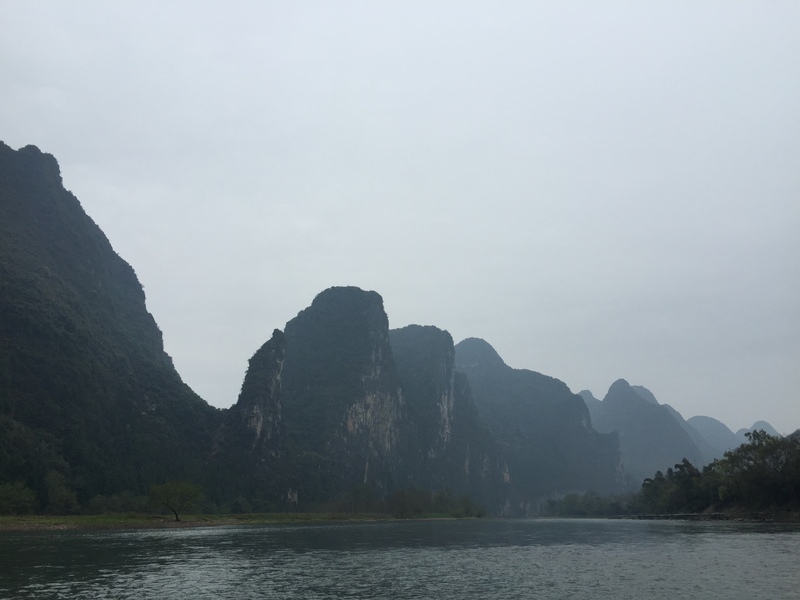 Most people arrive via Guilin International Airport, the drive from the airport to Yangshuo is beautiful. 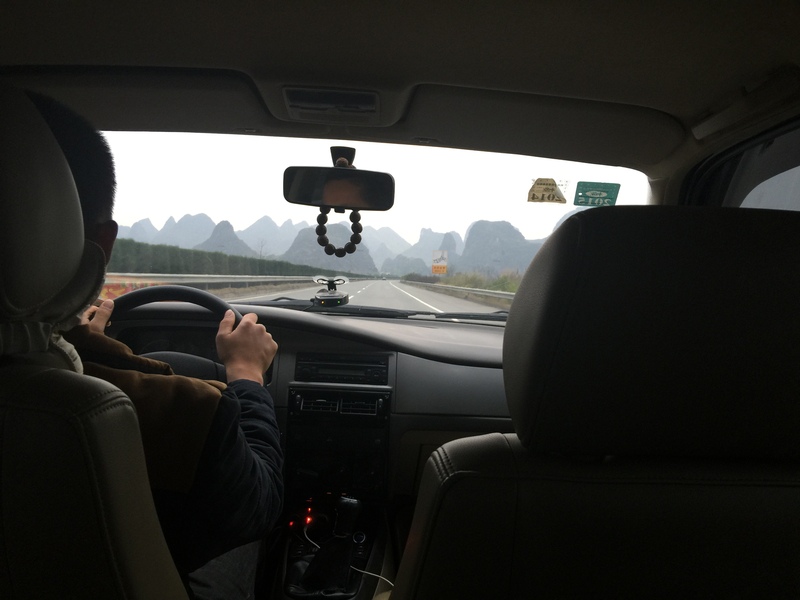 The view from the back seat of my taxi was beautiful, I regret sitting in the back seat. 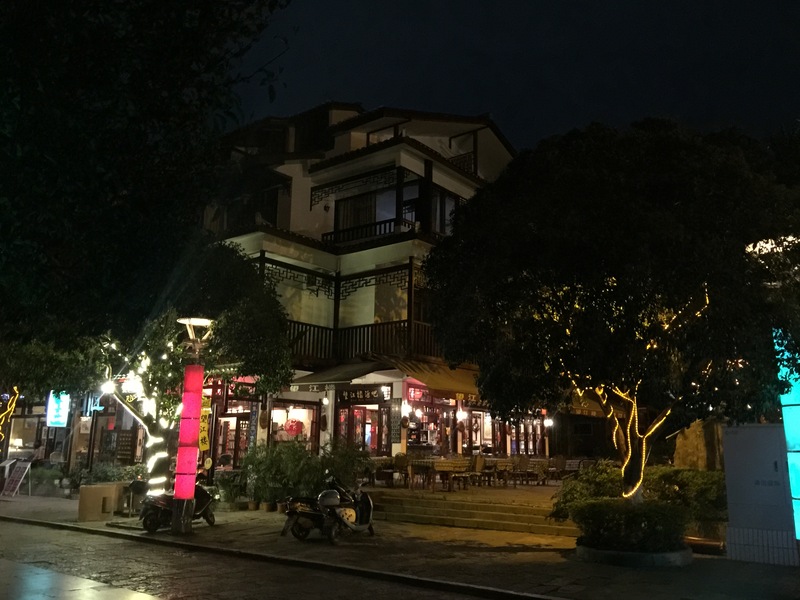 River View Hotel at night. 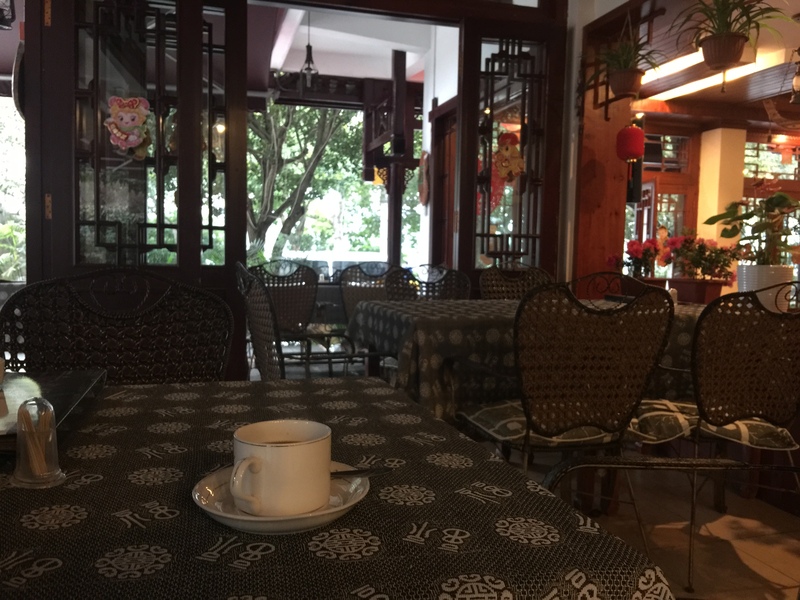 Morning Coffee at the hotel restaurant. 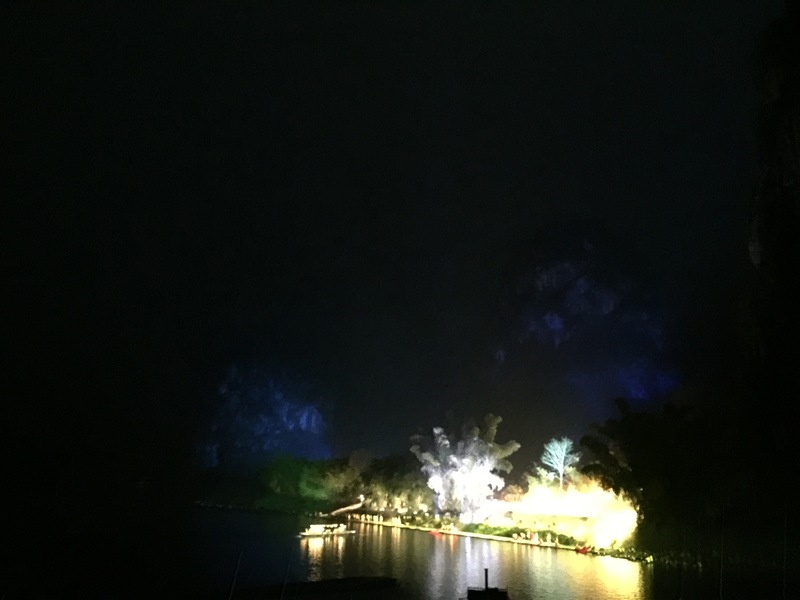 View from my room was great. 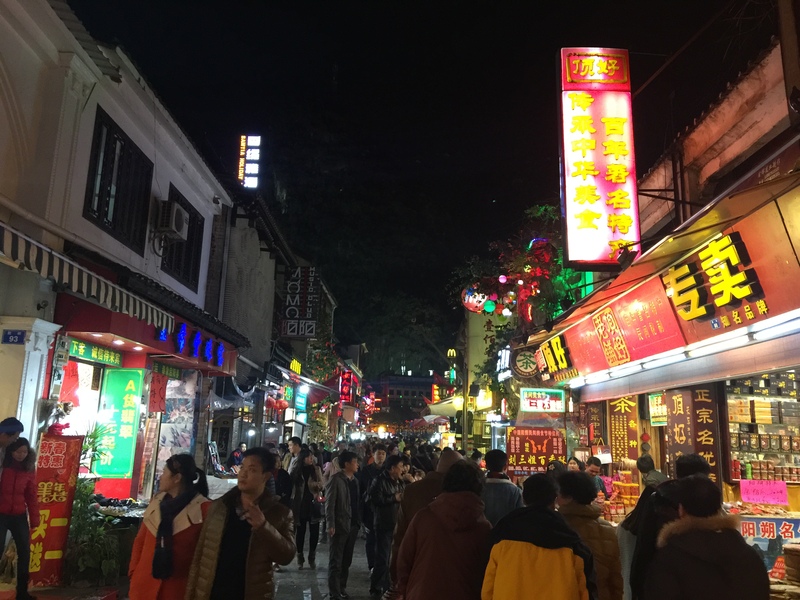 West Street view at night. 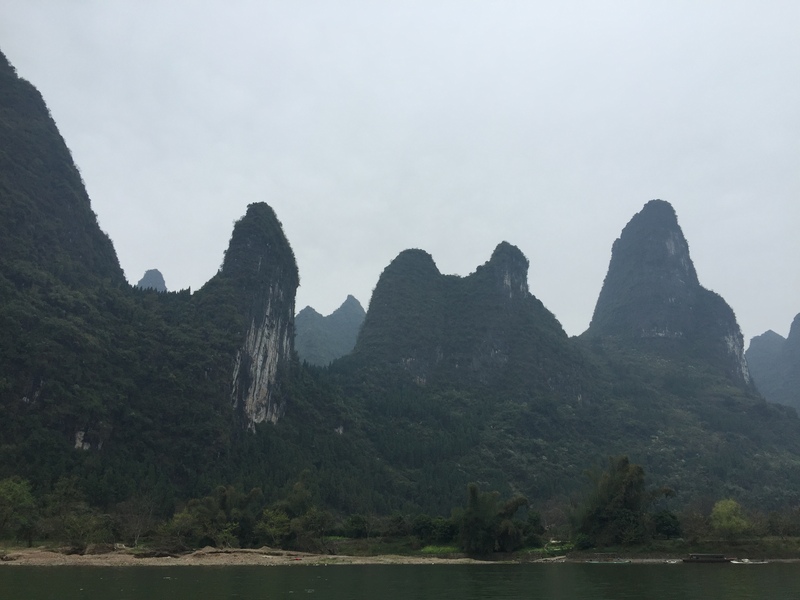 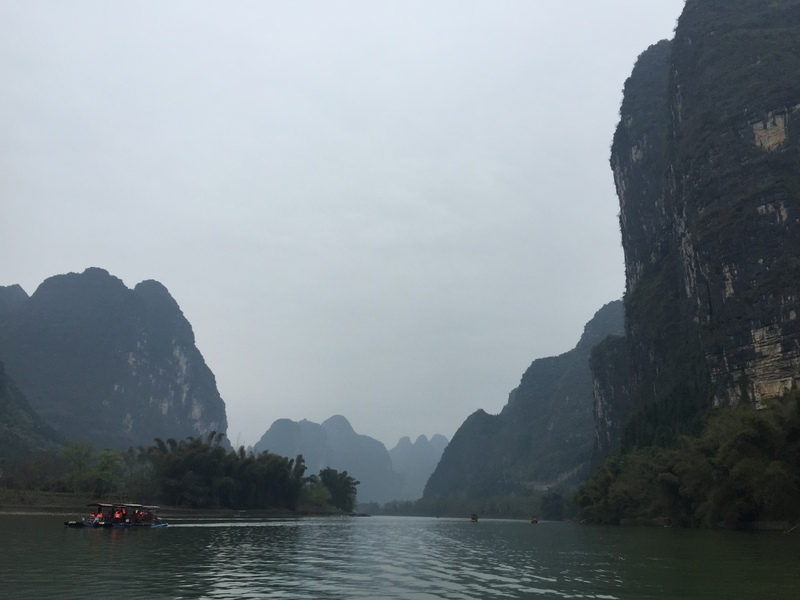 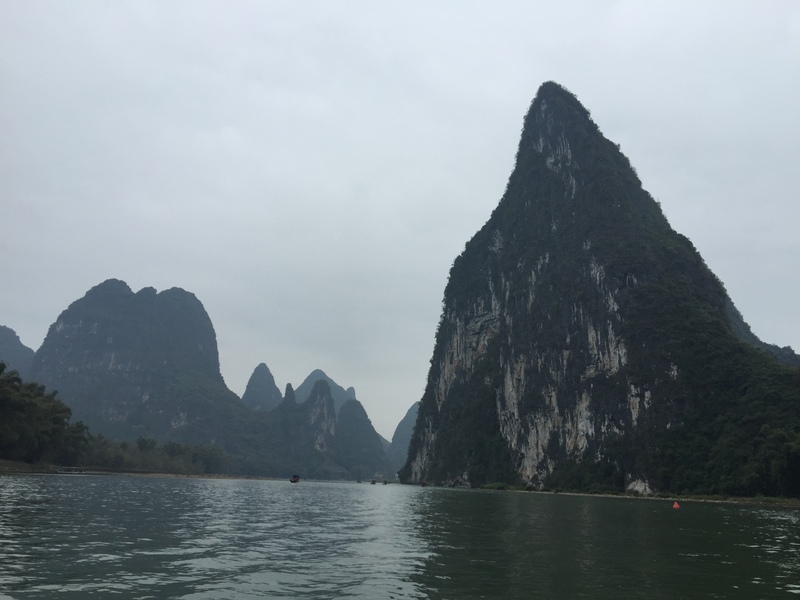 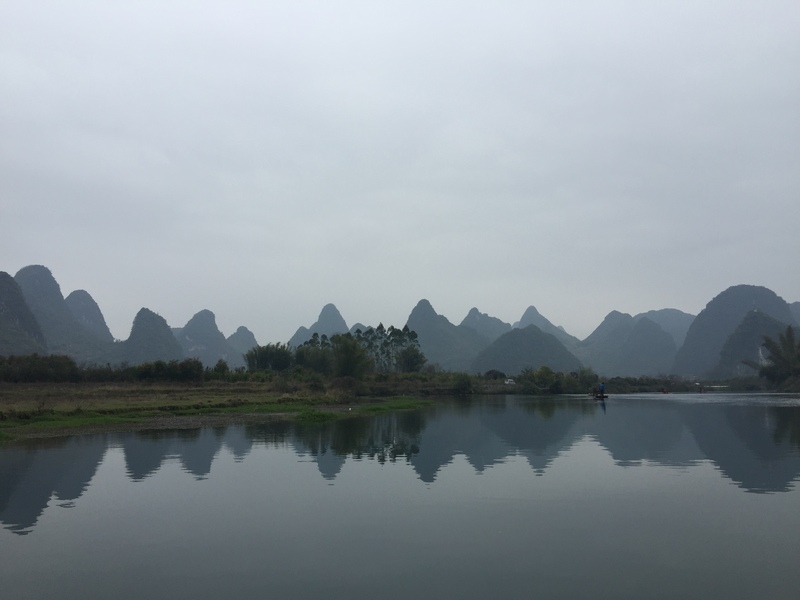 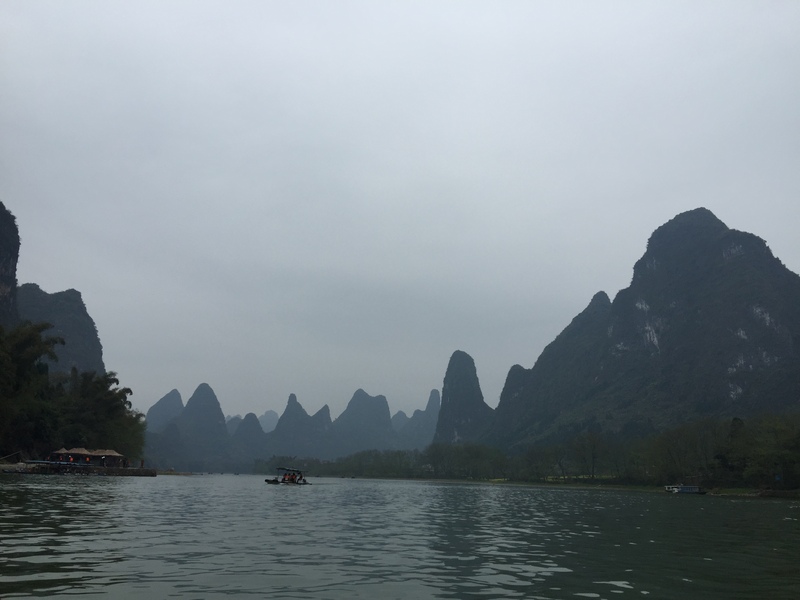 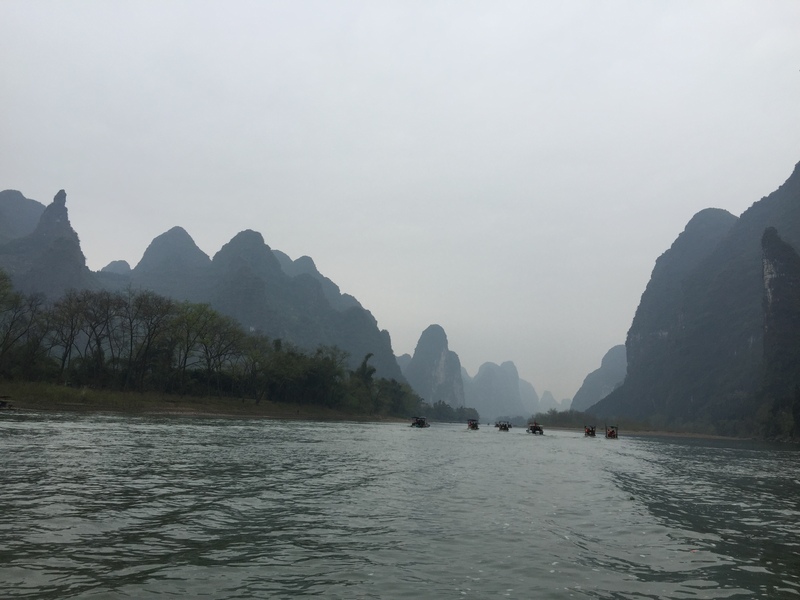 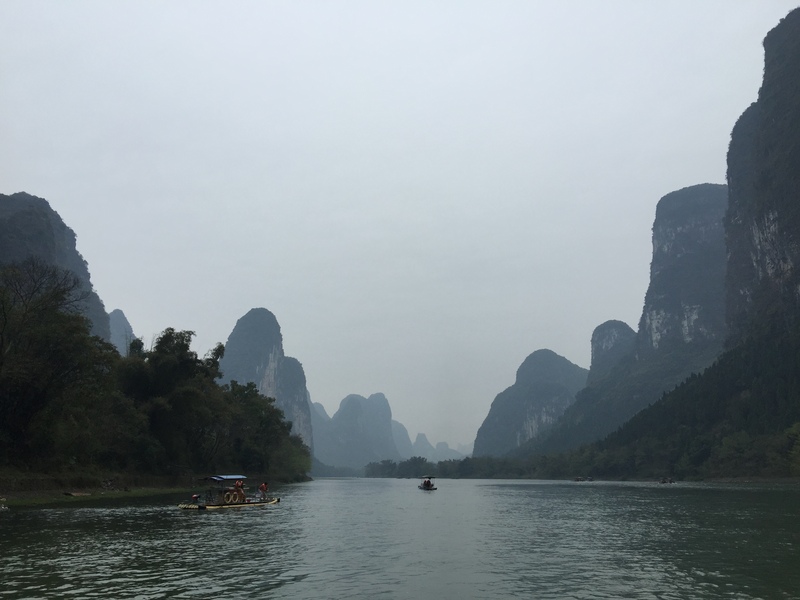 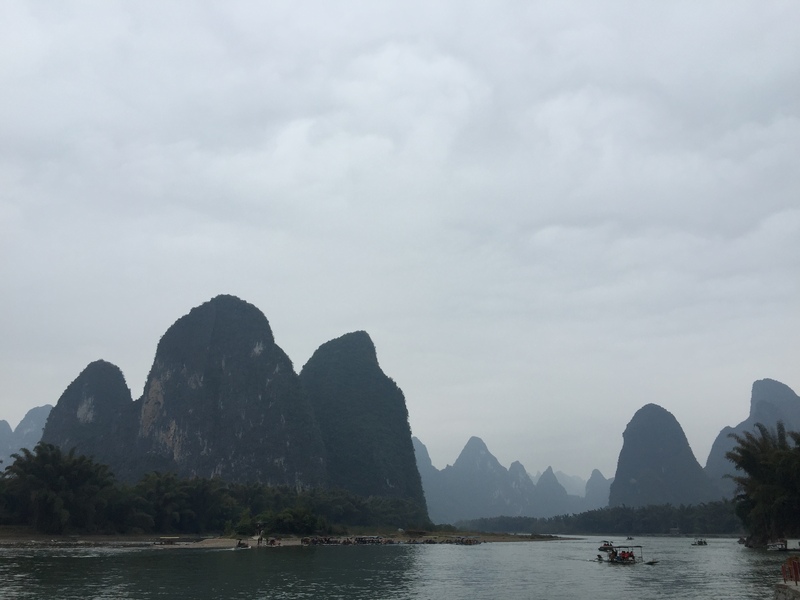 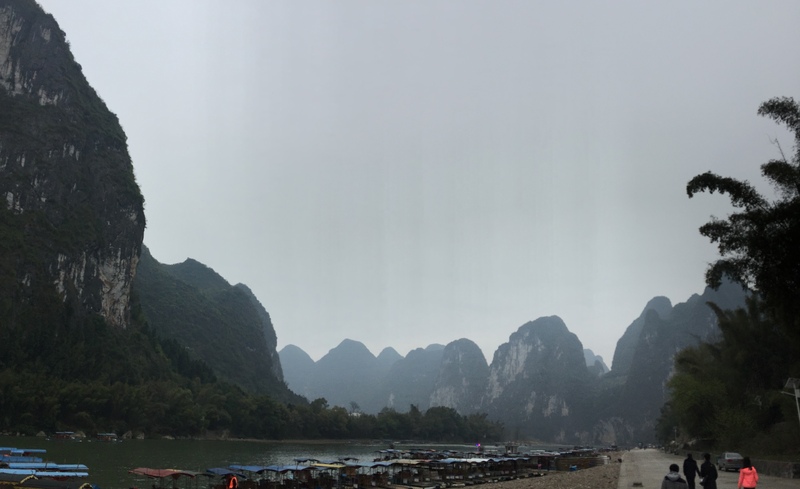 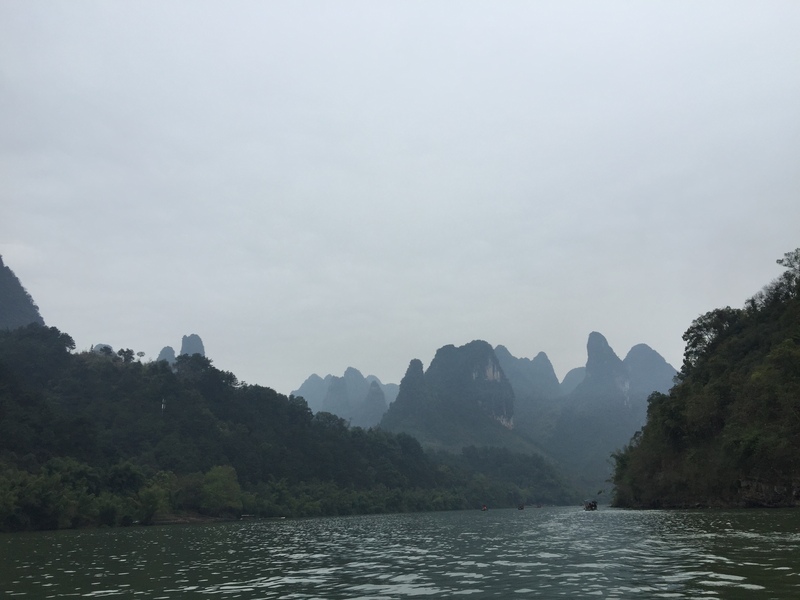 Like every tourist I took the personal raft down the Li River – great views, speechless. 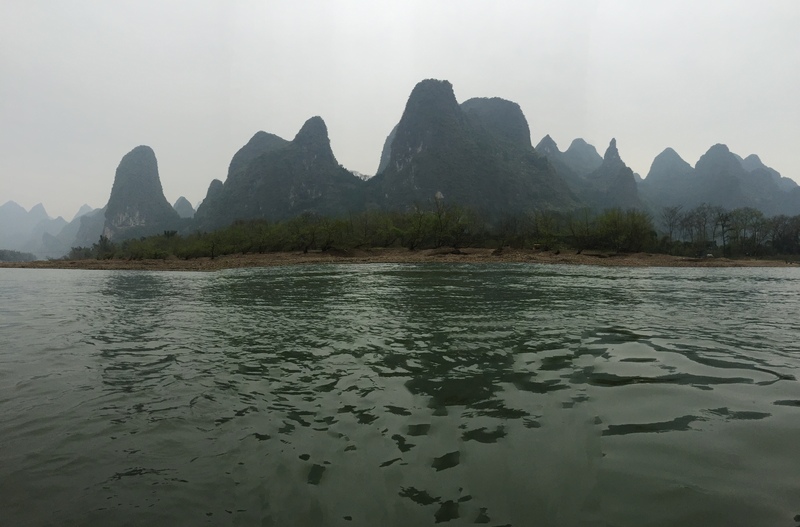 The raft ride was about 90 mins. 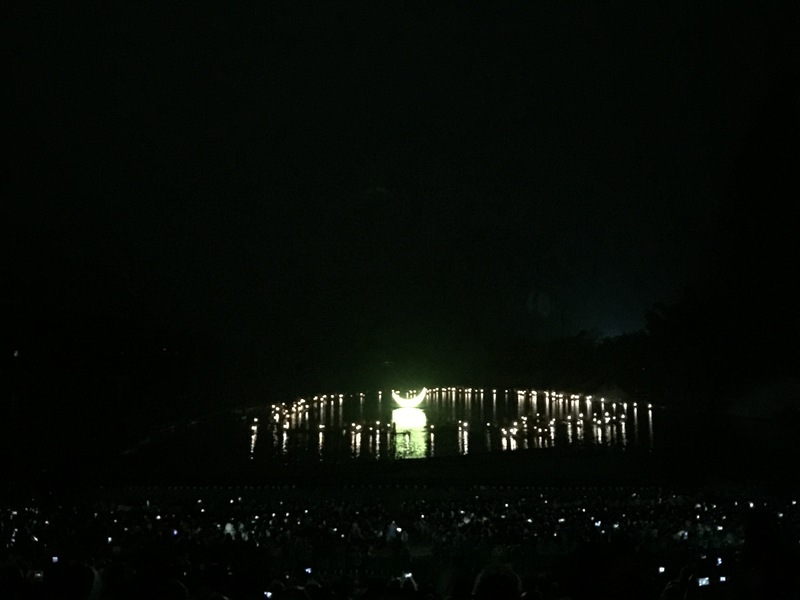 Its truly worth seeing. 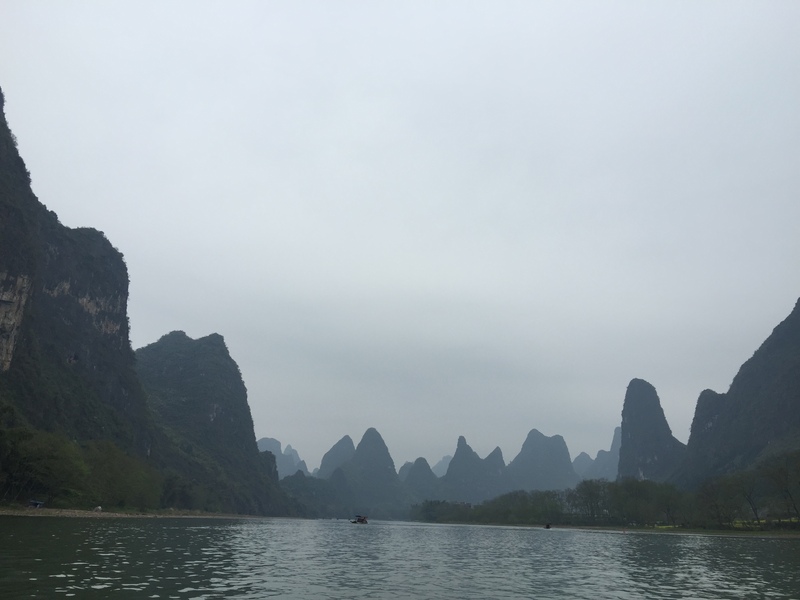 The day I was in area, the weather was cloudy with some fog, this was an added bonus as it made the landscape actually look like the paintings I saw growing up. 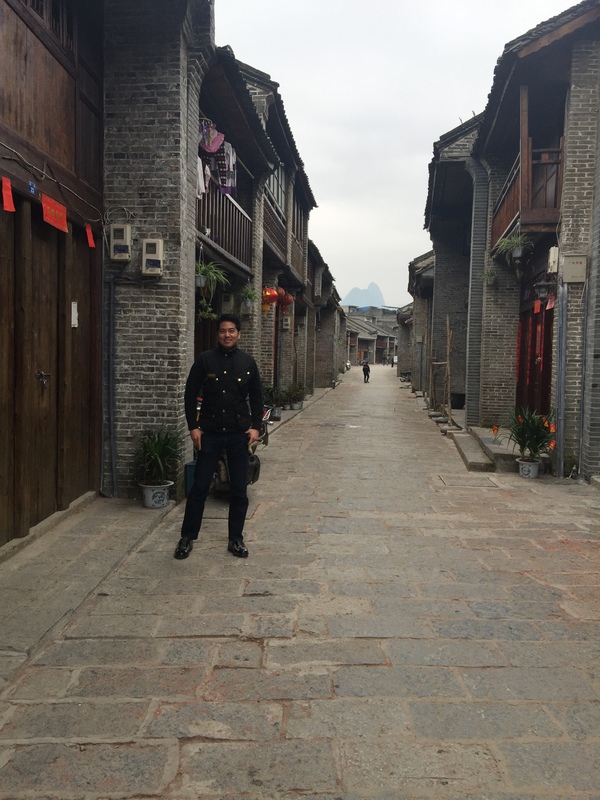 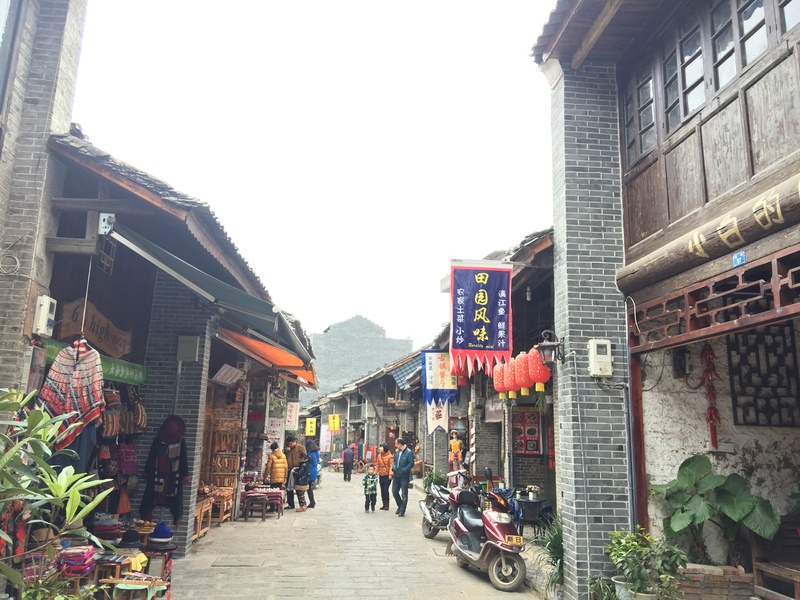 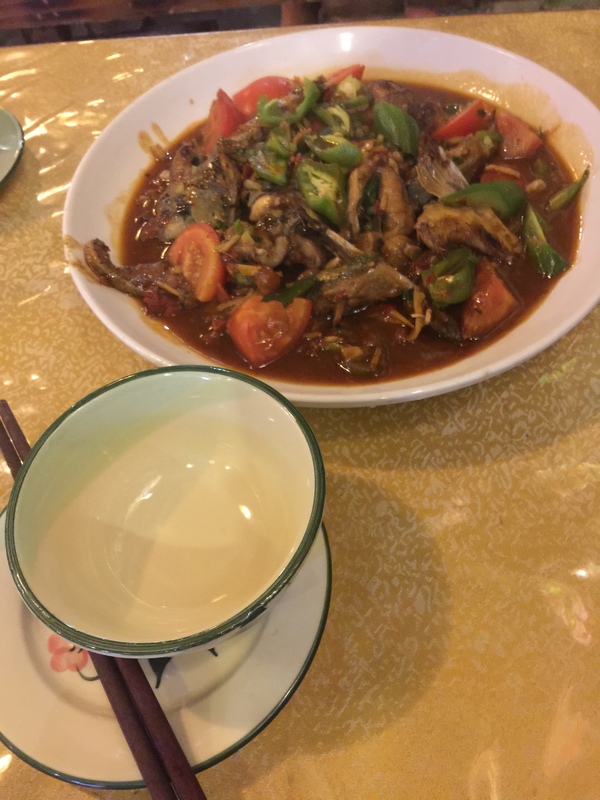 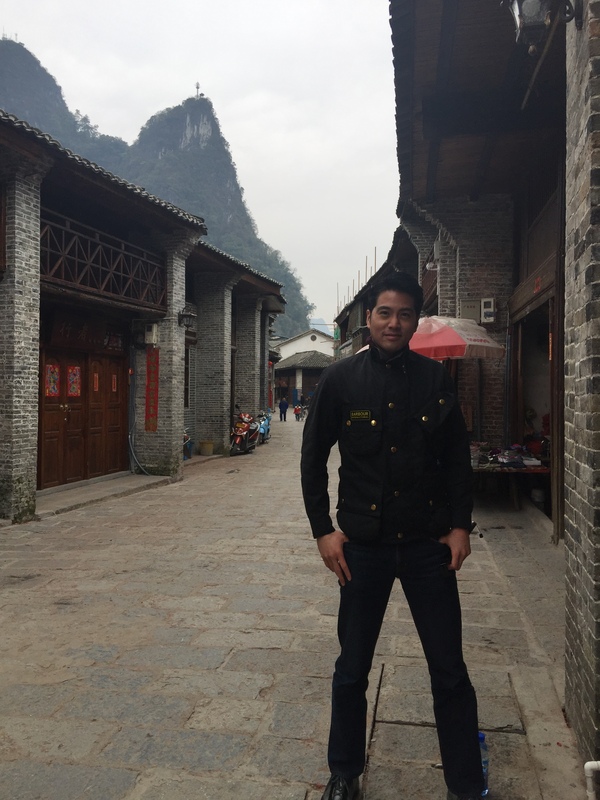 Xingping is a town where I stopped by to have the local ‘Beer fish’ dish, this town still has its historic buildings. 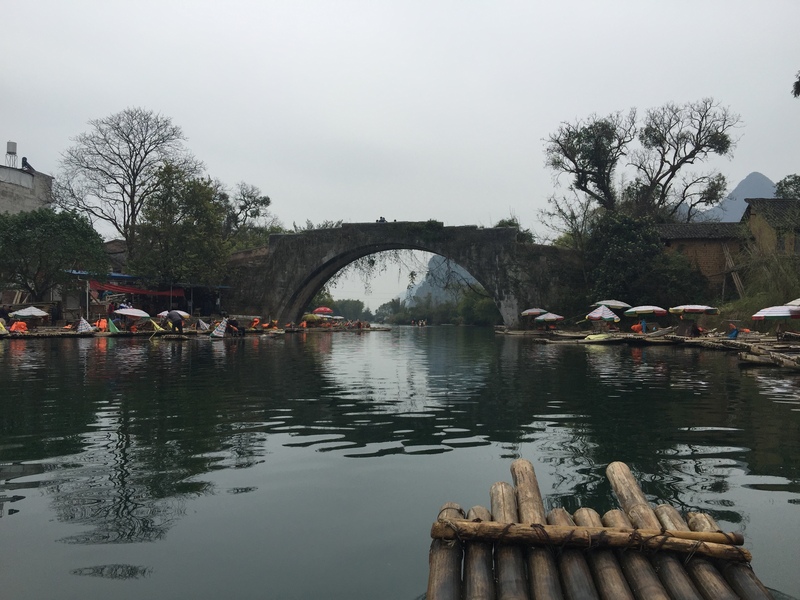 Yulong River is a river on a more smaller scale with real bamboo rafts without motors unlike the Li River rafts, so its really quite and relaxing. 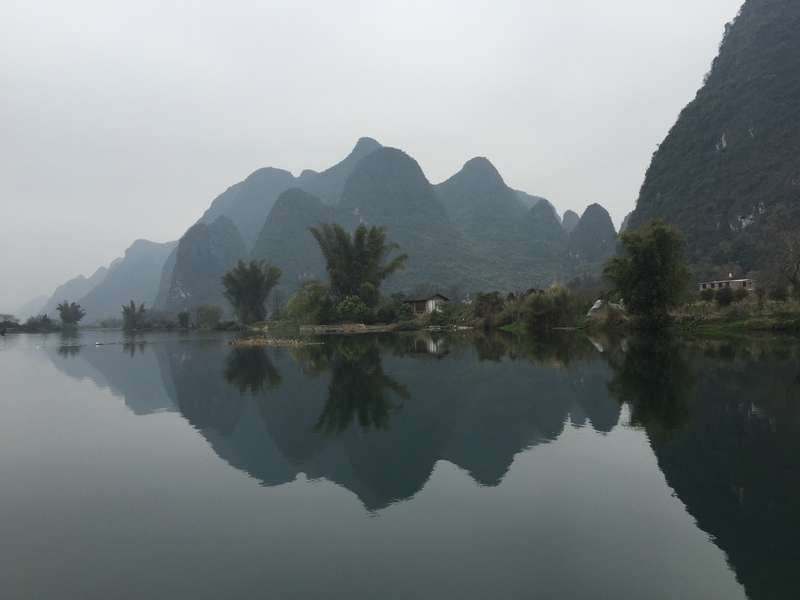 In some spots the waters are so still you can see mirror reflections of the surrounding mountains. 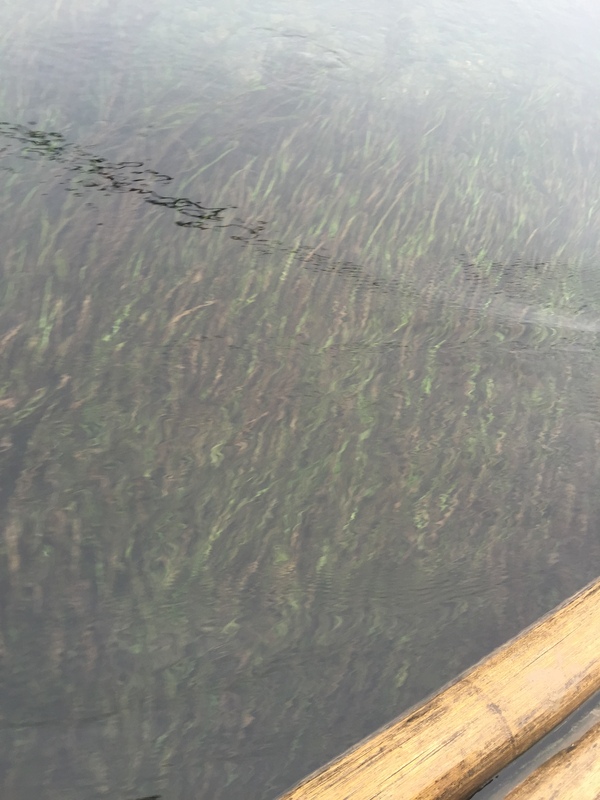 The water was so clean you could see the pebbles on the river bed and fish swimming between the underwater grass. 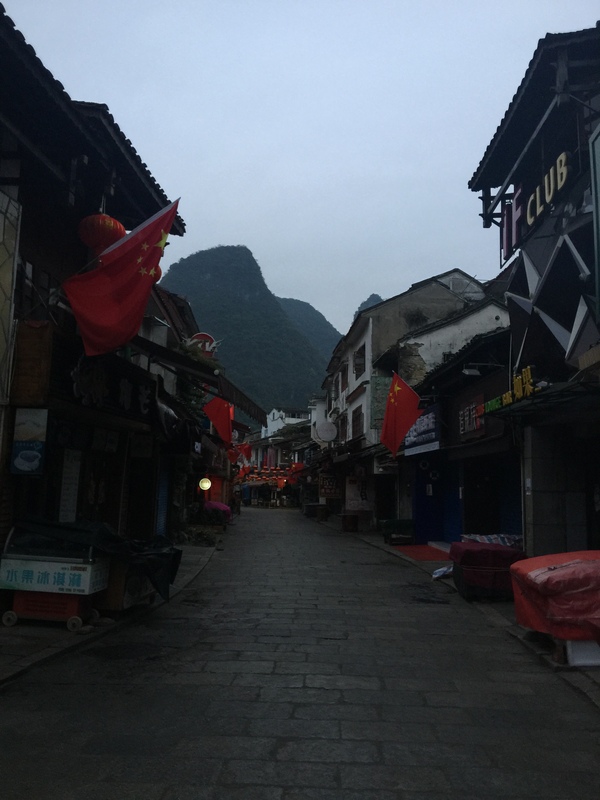 I usually visit China after Chinese New Year, which I think is the best time – there are not that many tourists around and relatively empty. 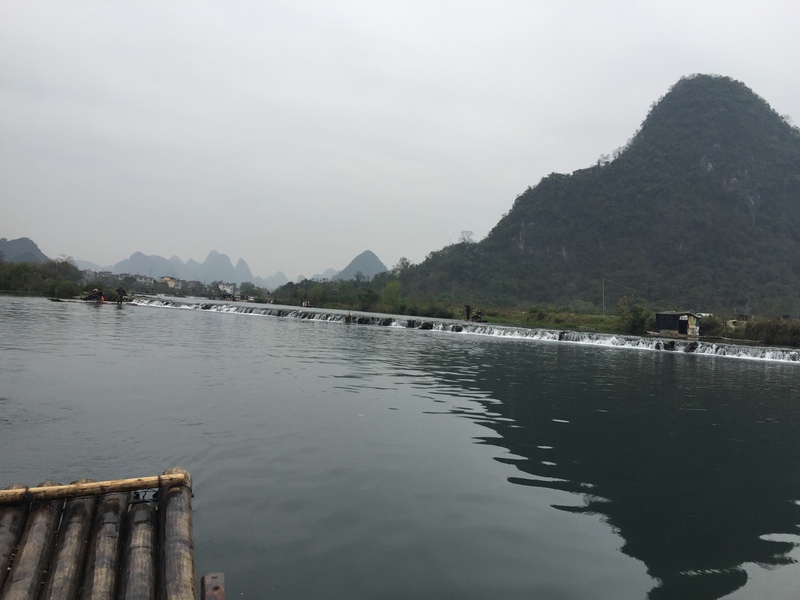 There were parts of the Yulong River where I was the only raft as far as the eye could see. 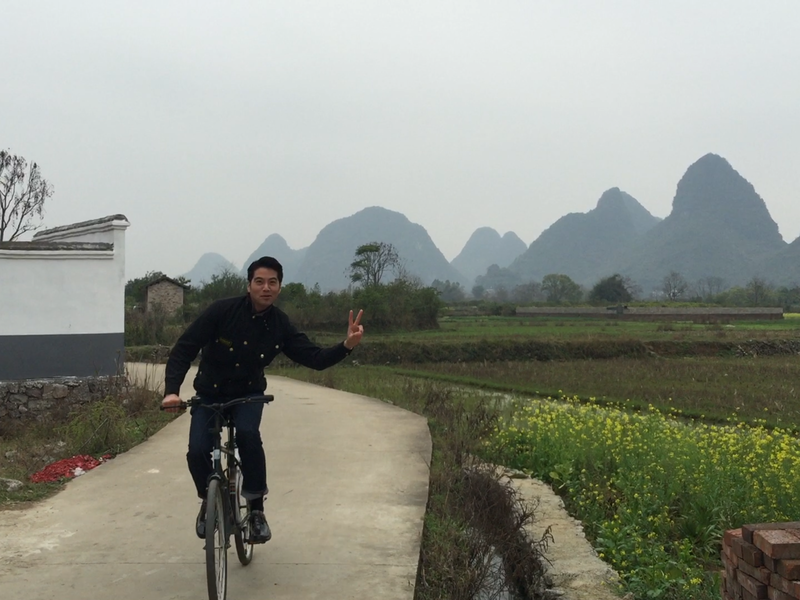 They say you have not done Yangshuo unless you have biked the countryside. 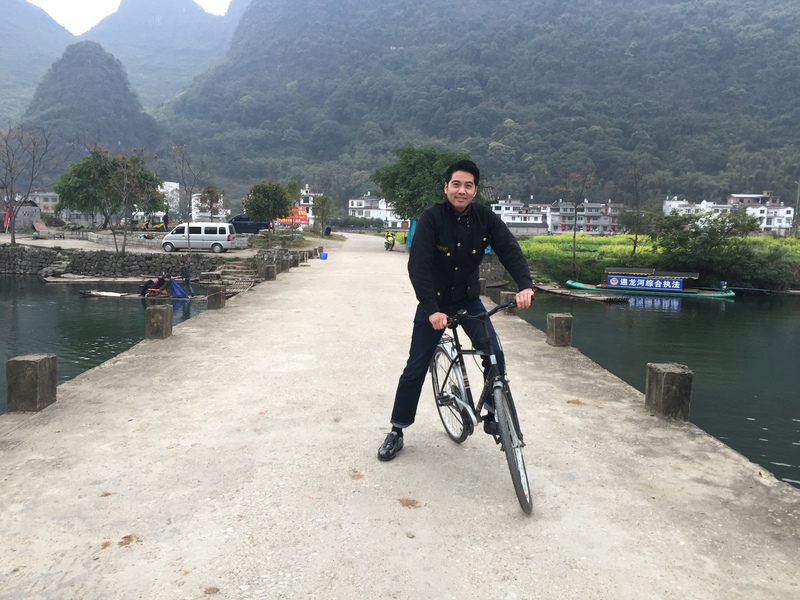 I agree with this statement, I would go again just for the bike ride. 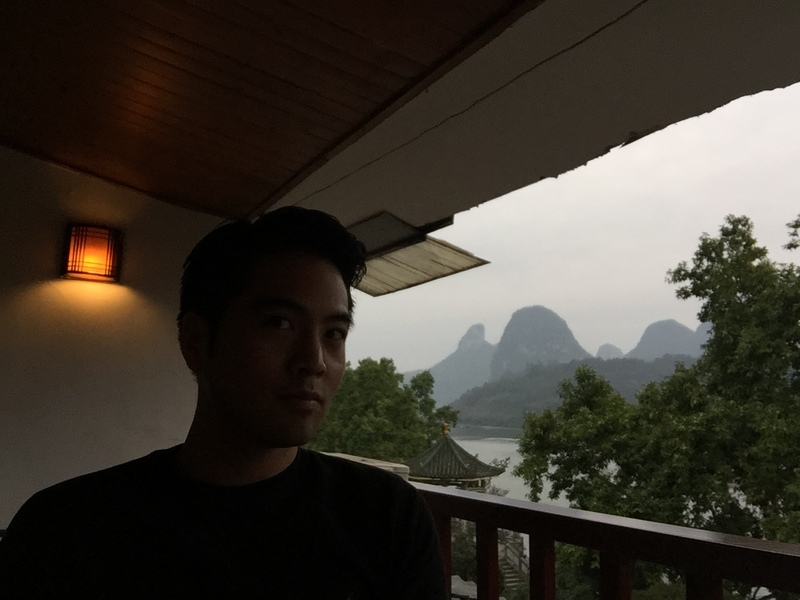 There were times I just had to stop to take in the beauty of it all. 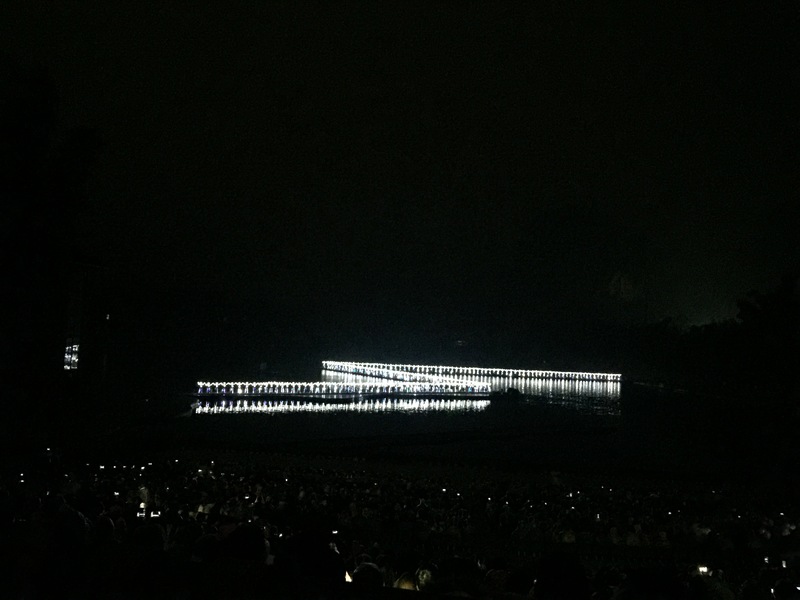 Last but not least I watched the Impression Sanjie Liu show. 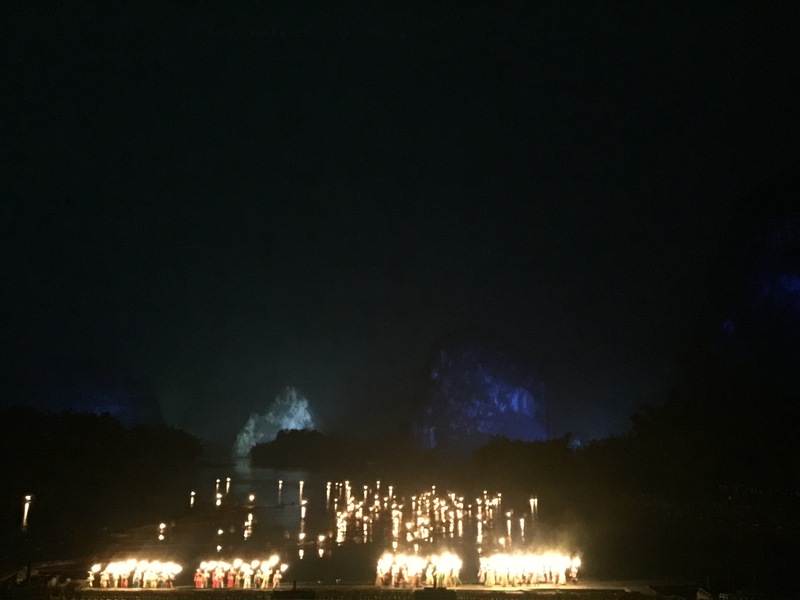 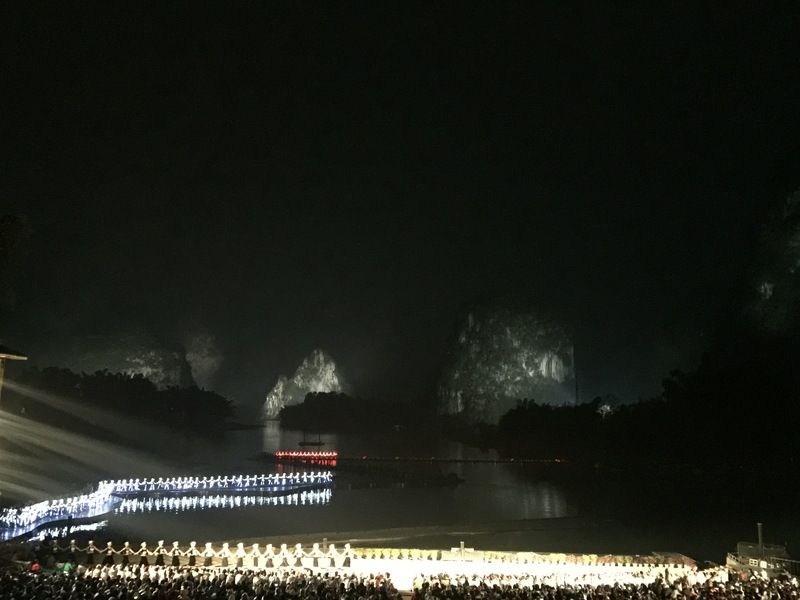 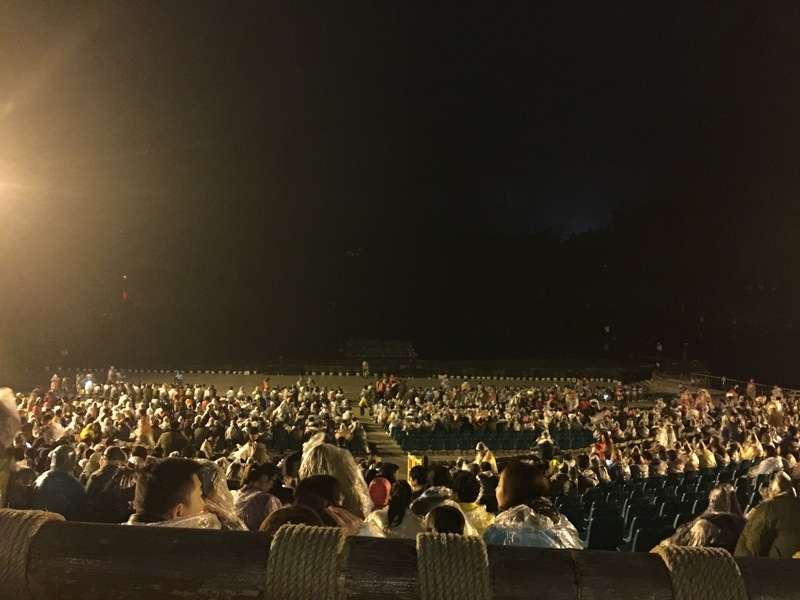 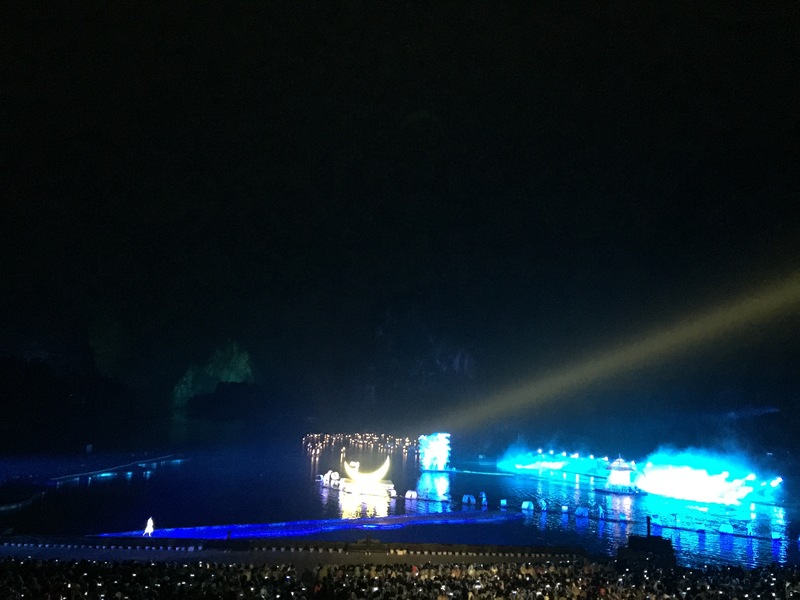 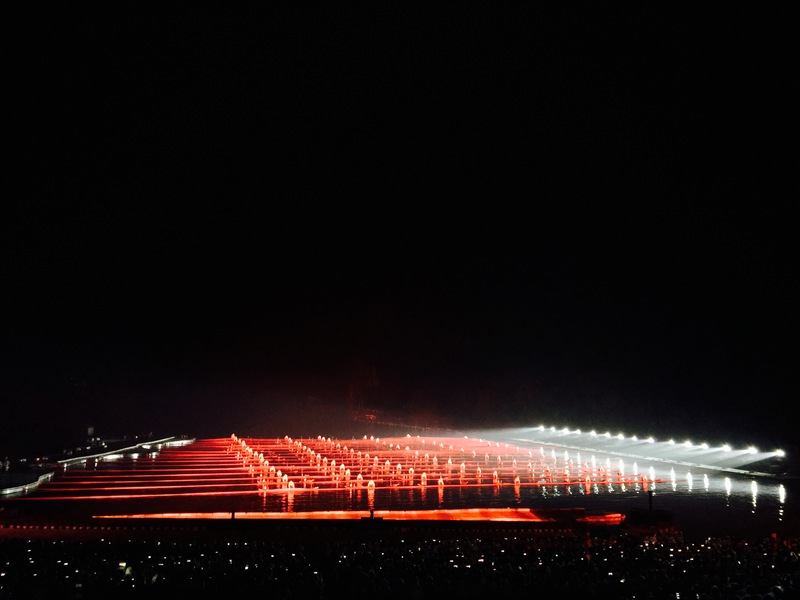 The show uses the Li River and surrounding mountains as the stage for a love story, I think, I did not understand as it was in Chinese, but the show was impressive. 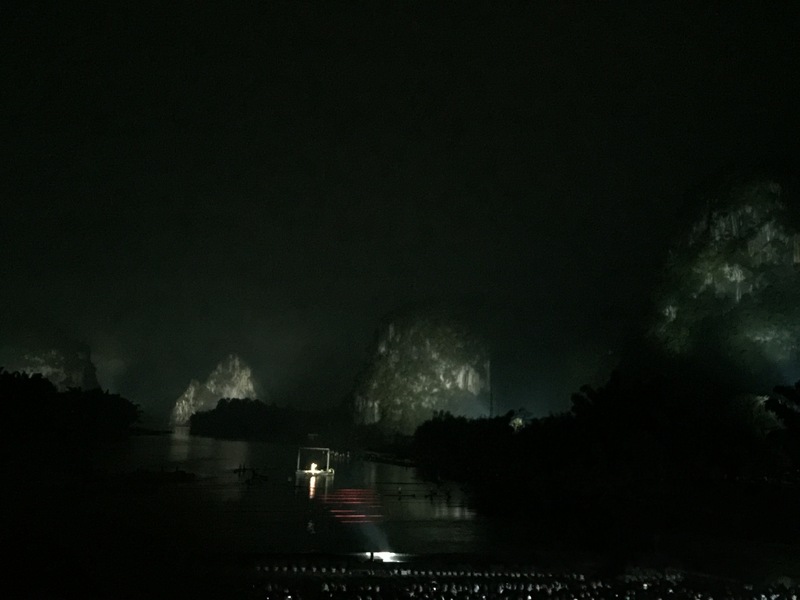 My iPhone camera does not do it justice.